If you’re an avid Twitter fiend like we helplessly are, then be sure to check out Falcon. With this app, you control your timeline and whole account from a single widget, which actually works better than a full app for the most part. 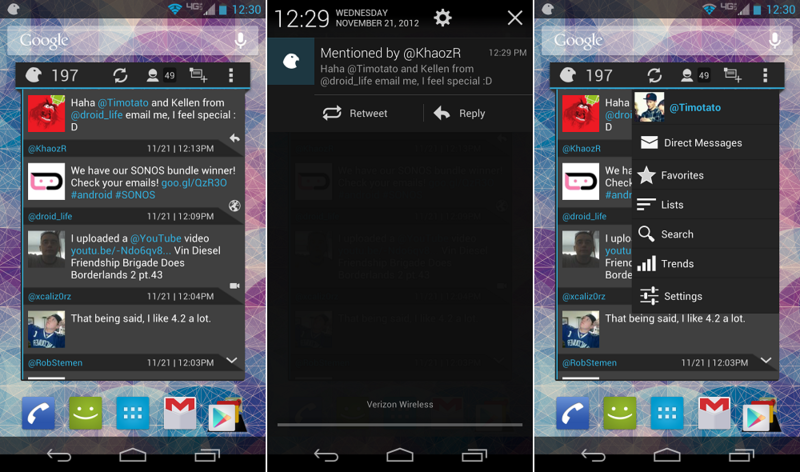 With the ability to place it on any homescreen, and even on the lockscreen if you’re running Android 4.2+, you see your full timeline as well as mentions, with options to see your messages, view trends, and also see lists. Why it’s taken me so long to get into Falcon, I don’t know. Go check it out on Google Play and let us know what you think down below.